The pictures on our website are representative of the plants we deliver, but there may be minor differences in the size and shape of foliage. We hand-pick all plants to ensure the best possible quality and customer satisfaction. Don't let Los Angeles traffic ruins your day, let us bring you the best plants out there, we cover Downtown LA, Hollywood, Silver Lake, Venice, Los Feliz, Brentwood, Echo Park and beyond. We deliver every Wednesday and Saturday, morning or afternoon. Select your plants, select a date of delivery and our delivery team will come to your house to set up the plants for you. Cascading Pothos medium $109 for plant and pot · Ships for free! Braided Money Tree medium $109 for plant and pot · Ships for free! 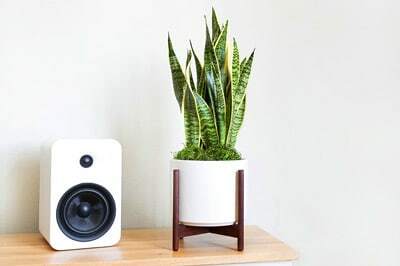 Parlor Palm medium $109 for plant and pot · Ships for free! Magenta Triostar medium $109 for plant and pot · Ships for free! Get first access to sales, new products, care tips, and more. know about events, new plants sets and more.